AYURVEDA, YOGA, MEDITATION AND SPA TOURS. Ayurveda or the 'Science of Life' has been practiced in India since the Vedic period. Ayurveda focuses on maintaining a healthy life by rejuvenating body through the means of de-stressing, detoxifying, cleansing, deep relaxation, anti-aging, weight and inch loss and so on. For all this, Ayurveda concentrates on offering a proper diet and disciplined lifestyle. Ayurveda is based on the five basic elements of the Universe known as the Panch Mahabootas, such as Prithivi (earth), Apya (water), Teja (fire), Vayu (air) and Akash (space). It aims to restoring the natural balance of the body by the use of massage, herbs and oils in the body. The busy and mechanical lifestyle of people these days has increased the popularity of Ayurveda and Ayurveda Tours in India. Tourists from all over the world comes in large number to India to benefit out of the Ayurvedic treatments which includes naturopathy, regular exercise, Yoga, Panchakarma and natural herbal medicines and are completely devoid of any side effects. 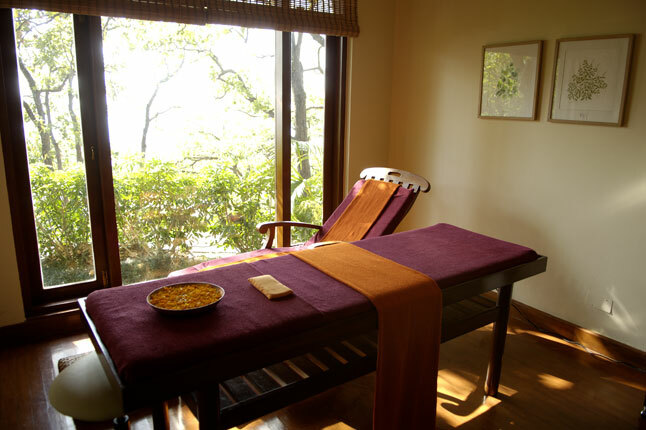 North India has several Ayurveda destinations located in peaceful geographical surroundings. Rishikesh in Uttaranchal is one such great destination. The picturesque locales of Rishikesh are surrounded by scenic beauty of the hills on three sides with holy Ganga flowing through it. 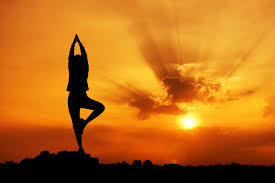 Rishikesh is a perfect ambience to learn yoga and Ayurveda. Rishikesh and Haridwar in Uttaranchal has many Ayurvedic ashrams and treatment centres that offer Ayurvedic treatments. The centres are perfectly arranged to suit the requirement for providing Ayurvedic treatments for a variety of chronic ailments. At Ananda In the Himalayas rendezvous with your inner self. The Ananda Spa is located in Rishikesh of Uttaranchal which beckons people to experience the ultimate rejuvenating sessions. The Ananda Spa is the finest and the most sought after spa destination in India. 24 treatment rooms with specialized areas for Ayurveda, Oriental and European systems of holistic health, a team of qualified nutritionists, Western & Ayurvedic physicians, spa therapists with knowledge of ancient Indian sciences and modern western treatments – all gently guide you towards a better lifestyle.It also offers a temperature controlled outdoor lap pool and a state of the art 16-station life-cycle gymnasium. 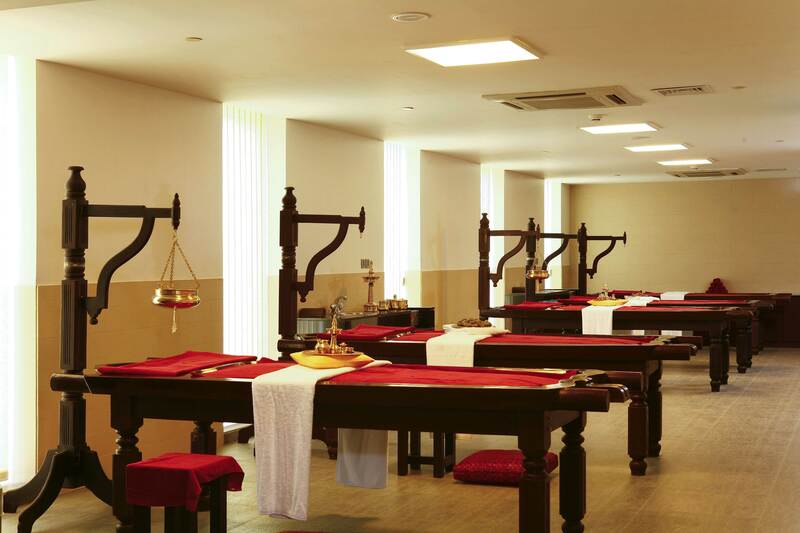 At Ananda, Ayurveda forms an intrinsic part of the wellness regime for the guests. From massages and specialized diet programmes, to fulfill personal goals, to the more rigorous transformations in lifestyle, the Ayurveda experience has been designed keeping in mind the individual's desire to heal, cleanse, relax and revitalize. Also indulge in Ananda spa cuisine. The fitness experts will guide throughout the Ananda Spa experience. Enter the multi gym and tone your body. Other activities that can be enjoyed here include swimming, squash and jogging. During your Ayurveda tours to North India at the Ananda Spa, you can shop for organic food, cosmetics, Ananda wear, books, herbal teas, etc from its spa boutique. Ananda's wellness programmes recreate the synergy of mind body and intellect not just through the natural Himalayan locales and the proximity to the mountains and the river but through the rejuvenating and ancient processes and philosophies of Ayurveda, Yoga and Vedanta. When combined with contemporary international therapies, it enhances and augments the original. It believes that each individual is unique.